On September 8, 2008, a six-year-old article about the 2002 bankruptcy of United Airlines’ parent company resurfaced on the Internet and was mistakenly believed to be reporting a new bankruptcy filing by the company. This episode caused the company’s stock price to drop by as much as 76 percent in just a few minutes, before NASDAQ halted trading. After the “news” had been identified as false, the stock price rebounded, but still ended the day 11.2 percent below the previous close. Trading volumes skyrocketed during these extreme price movements. In subsequent days, the stock traded as much as 17 percent below its September 8 closing price, and on September 15 it finally traded above the price level seen just before the false news impacted the market. 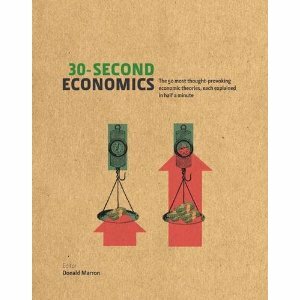 In short, it took a week for the stock market to flush the “blooper” out of its system. 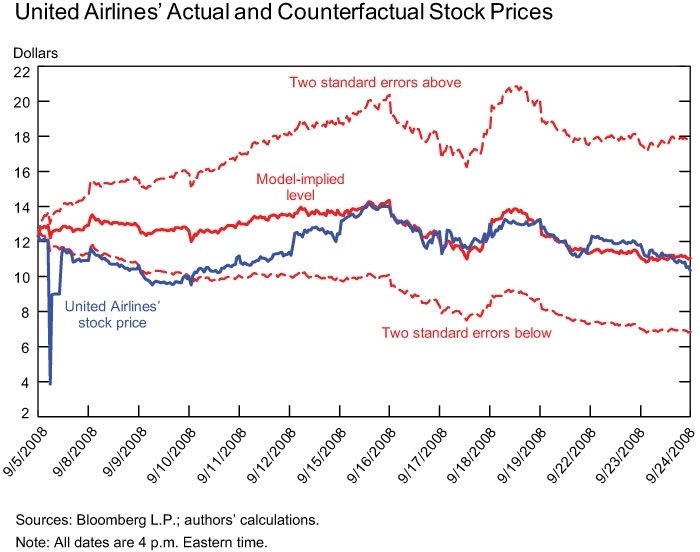 For bonus points, they also find that similar, but smaller effects on the stock prices of other major airlines.